Growing up in Idaho Falls, Idaho, Coach Coburn went to Bonneville High School, where he was a three sport athlete; football, wrestling and track, earning All-Region, District in football. After getting scholarships in football, he played at Montana Tech and Ricks College and lettered at both institutions. After earning an Associates Degree in Physical Education/Health Education at Ricks College he transferred to BYU where he earned his Bachelors Degree in Physical Education/Health/Driver Education. Later he earned a MEd in Instructional Technology from USU. Coach Coburn has coaching experience at high schools as both an assistant and head coach. He spent ten seasons at Snow College, Ephraim, Utah as defensive coordinator and head coach. As head coach at Snow College his teams had an overall record of 53-7, five conference championships, five bowl games, five NJCAA Top 5 finishes, two NJCAA #2 finishes. 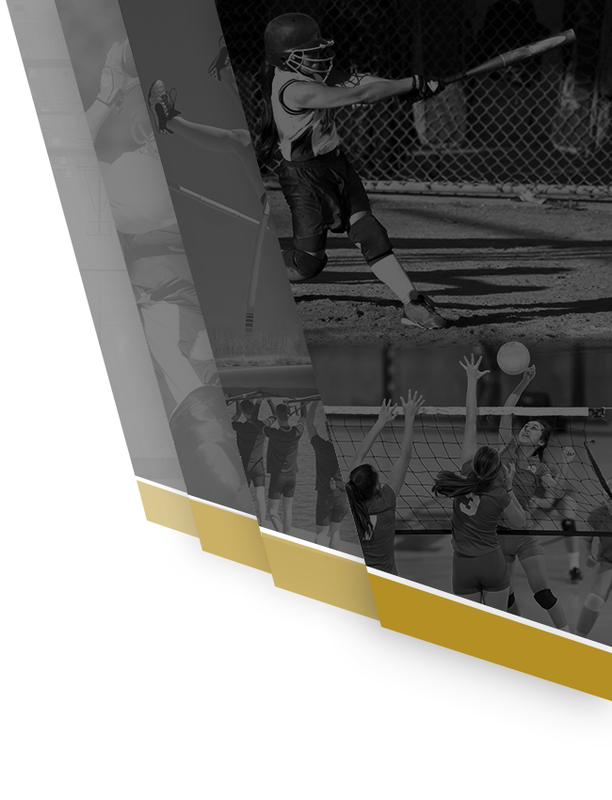 Placing many players in major colleges throughout the nation, ie; BYU, Utah, Utah State, USC, Oklahoma, Oklahoma State, Kansas, Washington State, Arizona. 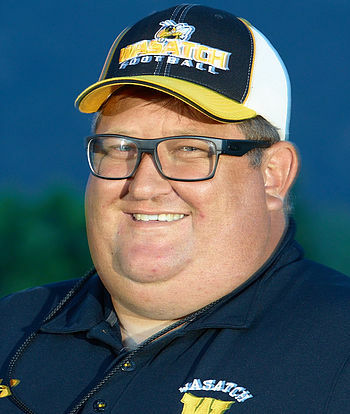 He has been the Head Football coach at Wasatch High School for five seasons at Wasatch High School Fall 2016. Serving as both the offensive and defensive coordinator. Tyler was born and raised in Heber City where he graduated from Wasatch High School in 2006. He received all-state honors in football, basketball, and baseball while attending Wasatch High. After high school he served an LDS mission in Monterrey, Mexico. After returning from his mission he went to school at SUU, UVU, and received his bachelor’s degree from Utah State University. He is currently working as a Special Education Teacher at Wasatch High School. 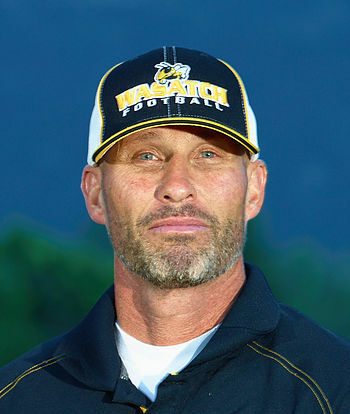 Tyler has been coaching football at Wasatch High School since 2010, during that time he has worked as the QB coach, Running Backs coach, Wide Receivers coach, JV Offensive Coordinator, and since 2014 has been the Varsity Offensive Coordinator and QB coach. Tyler is married to Abby Graham Baird who is also a graduate of Wasatch High School. They have two little girls, Taylee and Tessa, and a little boy, Bradley Blaik. Douglas Kinsman, age 54, birthday 02/29/1960 (Leap Year). Married to Carol Kinsman for 21 years. Carol works for the United States Attorney’s Office in Salt Lake City. She has been a Federal employee for 24 years. We have 2 children ,Christina and Danielle, both reside in Raleigh, North Carolina. We have 2 grandchildren, Jamiison, 5 years old and Jayden 6 years old. Jayden lives with Carol and I and attends Midway Elementary. He is in the 1st grade. This is our second year here in Utah, after moving from Raleigh, North Carolina where we had lived for the past 15 years. 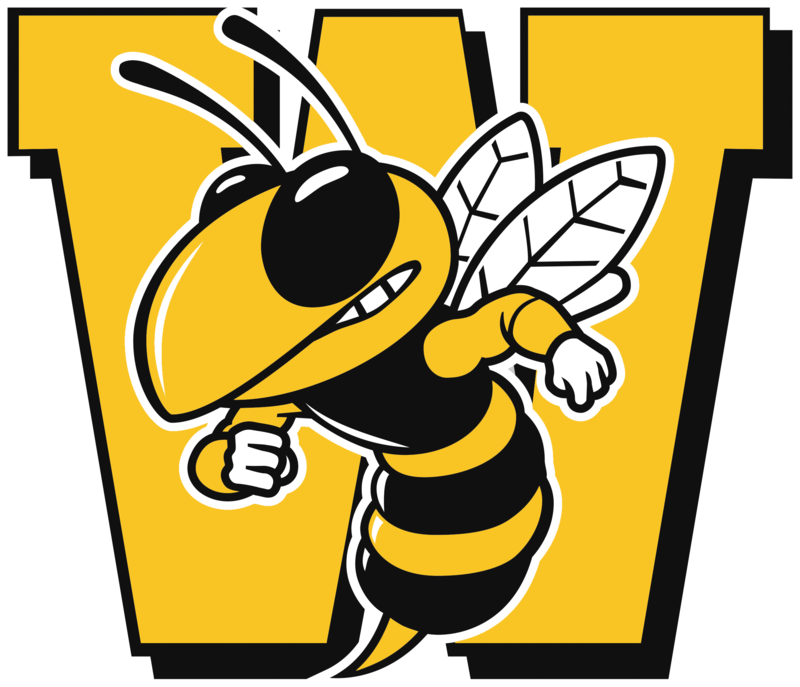 I have been teaching for 22 years , this being my second year here at Wasatch, after retiring from the North Carolina school system where I taught for 20 years. I have a Master’s Degree in Physical Education that I received from North Carolina Central University. I received my Bachelor’s Degree from Western Carolina University in Health And Physical Education. I played two years of Division 1 football at Western Carolina. This is my 16th year of coaching high school football. We are both very excited about living here in Heber, Carol and I are both outdoor people and have fallen in love with the Utah outdoors!!! I am also the Head Varsity Softball Coach. 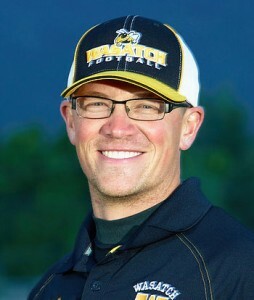 Coach Purdy works with the defensive backs in the Wasatch Football program. He is a Sheriff’s Deputy assigned to Wasatch High School. He is married, has 4 kids, and a dog named Tank. Coach Purdy was coached in high school by Glenn Holmes, the former Freshman Football coach at Wasatch High School. He averages one sideline warning a game. 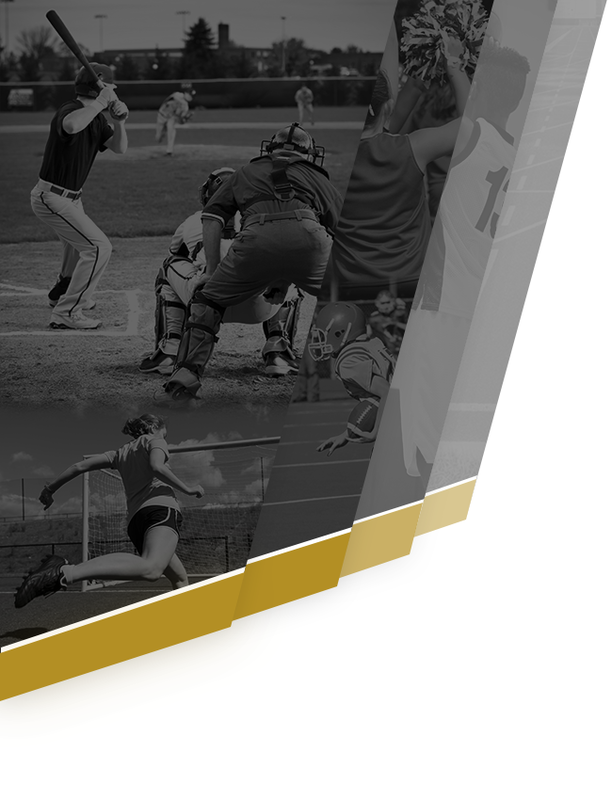 Coach Bringhurst graduated from Lone Peak High School in 1998 where he was a three sport athlete. He was 1st team All-State in football. He then went on to play football at Ricks College(BYU Idaho), Snow College, and Southern Utah University where he was a four year letterman and four year starter. He was coached by Coach Coburn at Snow College in 2002. He earned his Bachelor’s Degree in Business Management from Southern Utah University and is a Mild/Moderate Resource Teacher at Rocky Mountain Middle School. 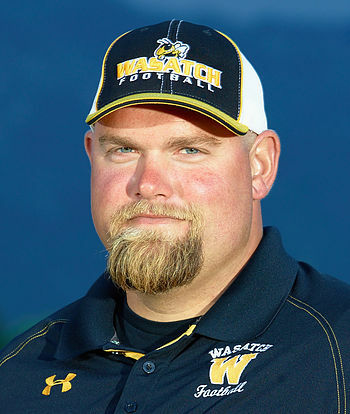 Coach Bringhurst’s coaching experience includes two years at North Sanpete High and is going into his fifth year at Wasatch High School as the offensive line coach. Coach Bringhurst and his wife Melissa have three children and love being a part of the Wasatch community. Melissa is a 4th grade teacher at Heber Valley Elementary. Mark is 42 years old. Born and raised in The Lone Star State! He graduated HS in 1991 from Santa Rosa High School in South Texas. He was Defensive Captain where he received All-District and All-State Honors as a Defensive Back. Attended Blinn College in Brenham,Tx and has coached youth baseball and football for 15 years. Mark has four children Haley Claire, Destiny, Daymon, and Jaxon. Rob Fredericks graduated from Broomfield High School in 1992. He played Varsity Football and Baseball. Following high school he attended Ricks College and earned an Associates of Arts and Science in Elementary Education. After Ricks he attended Brigham Young University where he earned a BS in Technology Education, and a PE Minor. While student teaching, he coached football at West Jordan High School. 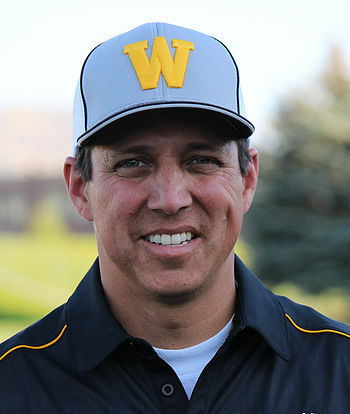 Following Graduation in 2000, Rob, and his wife Pam, moved to the Heber Valley to teach at Wasatch High School. Rob was invited to join Ron Tree’s football staff, and has been coaching ever since. He has coached linemen, and has had coaching responsibilities on the JV and Sophomore teams. Currently he is coaching defensive linemen, and is the Sophomore team head coach. Rob also earned his Master Degree in 2005 from Brigham Young University, and is the Skills USA advisor at Wasatch High School. Coach Jones is the Health Teacher at Rocky Mountain Middle School and has worked for the Wasatch School District, going on his 5th year. He is originally from a rural town, south of Buffalo, New York, where he graduated from Silver Creek Central School in 1988. 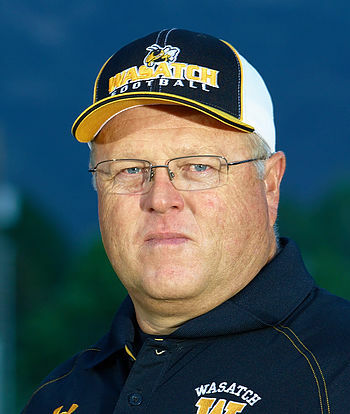 Before coming to Wasatch High School, Bill has had coaching opportunities at a few local schools such as Orem, Provo, Timpanogos, and Timpview. 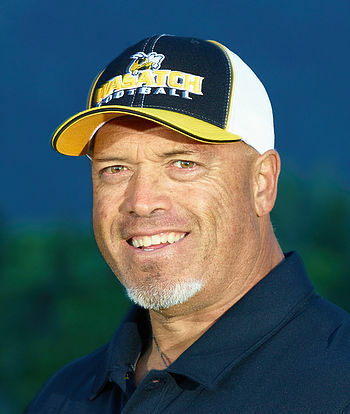 Bill is currently the Wasatch Varsity Running Backs Coach and the Offensive Coordinator for the JV squad. Bill and his wife, LeeAndra, have 4 children and have recently moved into the community and have appreciated the warm welcome received by the Wasatch Family. From Honolulu, Hawaii. 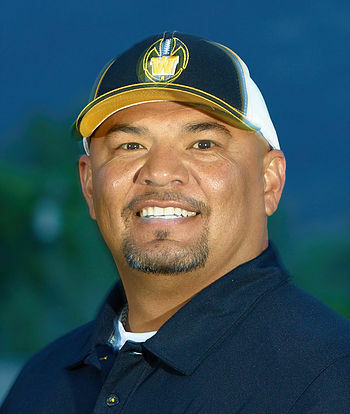 Attended High School at Kamehameha Schools and was a three-sport Letterman in Football, Basketball, and Baseball where he was a 1st team All – I.L.H. Linebacker, 1st team All-State Linebacker, and Prep All-American. Was on two State Championship teams his junior and senior years. Went on to play football at Ricks College where he was a two time All-American as a linebacker. Moved on to BYU and played linebacker. Graduated from BYU in education and has been teaching for the past 25 years. Has been coaching football for 25 years (Timpview, Provo, Orem, and Timpanogos). Is in his first year coaching at Wasatch and will be coaching the Outside linebackers. Teaches Physical Education at Rocky Mountain Middle School. Coach Akana and his wife Joleen have four beautiful children. Coach Hayter grew up in Monmouth Oregon and attended Central High School were he was a three sport athlete in football, basketball, and baseball. After high school he served a LDS Mission in Tallahassee Florida. After his mission he attended Ricks College and Oregon State University and Graduated from Western Oregon University in 1992 with a Bachelors Degree in Physical Education. 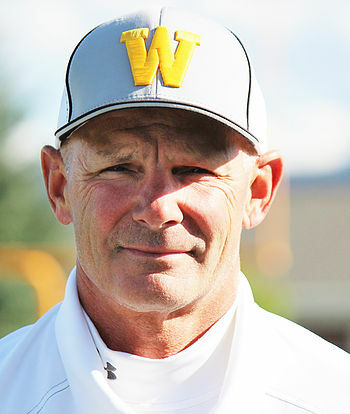 While attending Western Oregon University he started his coaching career and was a undergrad assistent coach in 1989 and has been coaching basketball for 25 years and assisted Football, Track and Baseball on and off for many of those years. Coach Hayter is married to Kathy and they have six children. Alexa(2014 Graduate of Wasatch HS), Mattea (sophmore at Wasatch HS). Lacee grew up in Orem Utah graduating from Timpanogos High School in 2007. After high school she moved to Cedar City to attend Southern Utah University. After taking a year and a half absence from school to serve an LDS mission in Richmond Virginia, she graduated in 2013 with a bachelors in Athletic Training. Lacee started at Wasatch High School as the Athletic Trainer in 2013. As an employee of Intermountain Healthcare Lacee works closely with Doctors and Physical Therapists to provide the best possible care for our athletes. Her job duties at Wasatch High School include; injury prevention, emergency coverage, injury evaluation, and injury rehabilitation. She also works with student interns who are interested in the sports medicine field to help them expand their knowledge and experience.